Orion SkyQuest XT6i IntelliScope Dobsonian Telescope. Size does matter in more ways than one when it comes to backyard telescopes - bigger optics (mirror/lenses) can capture more light and you will be able to see fainter objects. This also means that the scope is now larger and more difficult to move around, and this can be critical if you live in a light polluted area and must transport your telescope to a dark location in order to use. So choosing a scope that has optics large enough to give you visibility to hundreds of deep sky objects while at the same time easily transportable is very important. Stability is the key word here: we on earth are in constant motion as we rotate on our axis and orbit around the sun. At a quick glance, the stars in the sky appear to be stationary, but any time spent looking at a highly magnified image in a scope and you will immediately notice that the stars will drift out of the field of view. Having a steady mount for your telescope is important not only to eliminate shaky viewing which can limit what you see and make observing an aggravating experience but also make it easy to manually track the image (necessary for those mounts without an automatic tracking mechanism). Be sure the scope you buy is on a solid and sturdy mount. Don't forget that once you have your telescope you will need to know how to locate objects in the sky with it! It seems obvious, but it can initially be a frustrating experience for beginners to locate even simple objects. Expect to take the time to learn your way around a star map and the sky as you learn to use your new telescope. 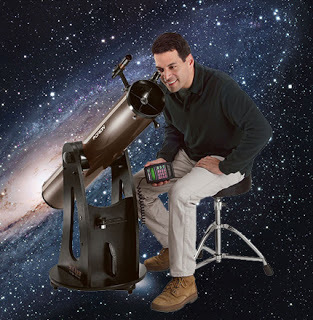 Again tap the resources at your local astronomy club, bring your new scope to their next star party and they can provide hands-on training, saving you hours of frustration.